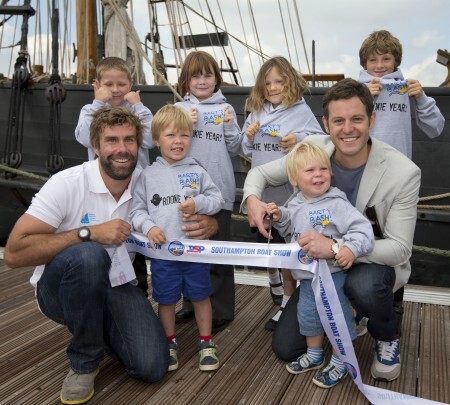 Four young ambassadors from the Andrew Simpson Sailing Foundation, along with the young sons of Andrew Simpson, Freddie and Hamish, helped TV star Matt Baker, and double Olympic champion Iain Percy, open the PSP Southampton Boat Show yesterday. Casey Gunn and Megan Raison from Ferndown First School, Oliver and Amber Hale from Sandford Primary School all sailed into the Boat Show on board PSP’s Clipper yacht, before joining the others on board the Tall Ship Phoenix to unfurl the ceremonial ribbon for the One Show presenter to cut. The Foundation is the official charity of the PSP Southampton Boat Show, and transforms the lives of young people through sailing, offering a range of charitable programmes that provide a unique combination of the challenges of being on the water with the teaching of Bart’s life skills and values. Visitors to the Show will have the chance to “high five” a giant picture of Bart for a fiver, part of the charity fund raising at the Show. The idea for the high fiving came from Olympic sailors who regularly touch a life size photo of Bart for good luck before going on the water at the Olympic sailing venue in Weymouth. The fund raising will culminate in a Bart’s Bash event at the Show on the 21st September. 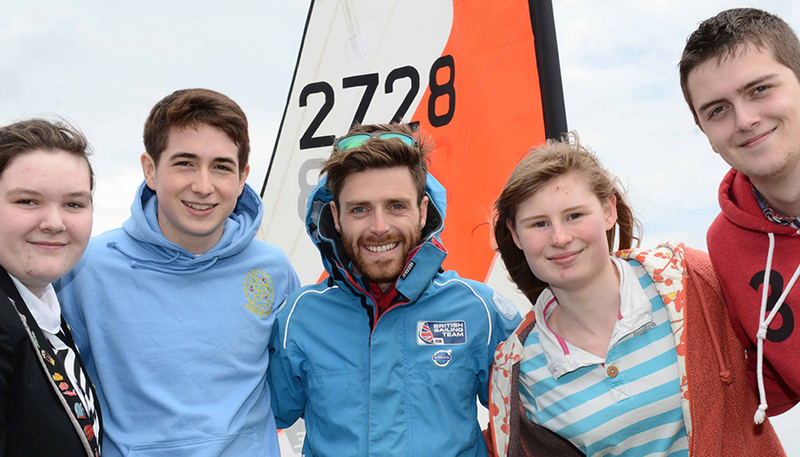 Bart’s Bash is a Guinness World Record attempt in which sailing clubs around the world will sail an individual race at their location, with the aim of promoting the sport of sailing, remembering Andrew, and raising money for the Foundation’s charitable objectives.